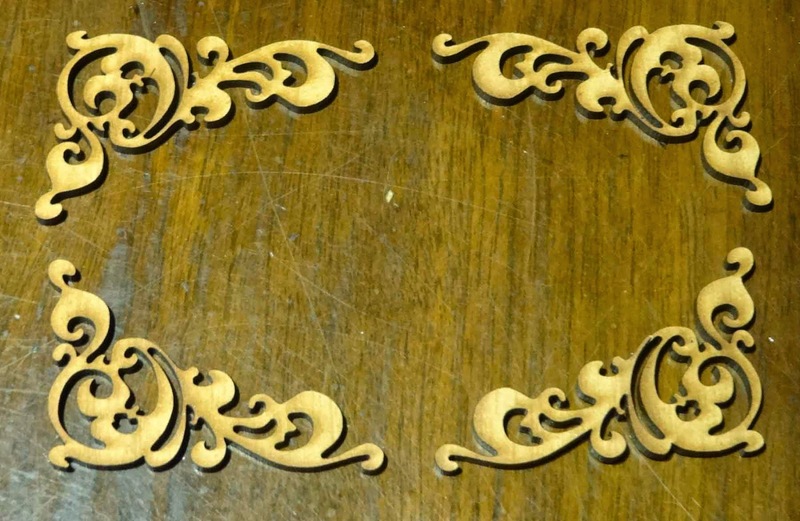 It's my turn over at the Unique Laser Designs Blog and I am super excited to show you my project. First I have to tell you a little story. I was walking through my local thrift store. I was gathering little treasures here and there. Then--there it was. And I knew I must buy it! So to get started I gessoed the spice rack. The fun part was picking out the Unique Laser Designs wood pieces to adorn my spice rack. 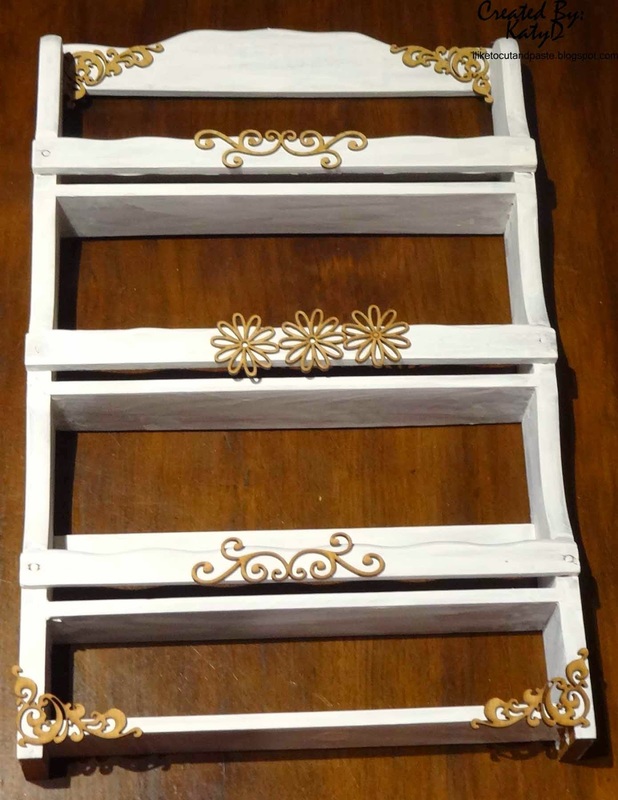 I gessoed my wood pieces also, especially since I was going to paint the daisies yellow. 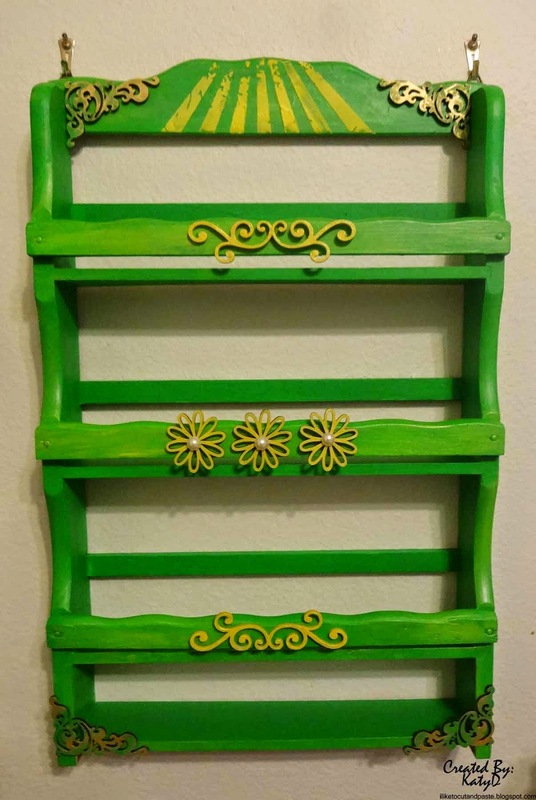 Here is my spice rack all finished! 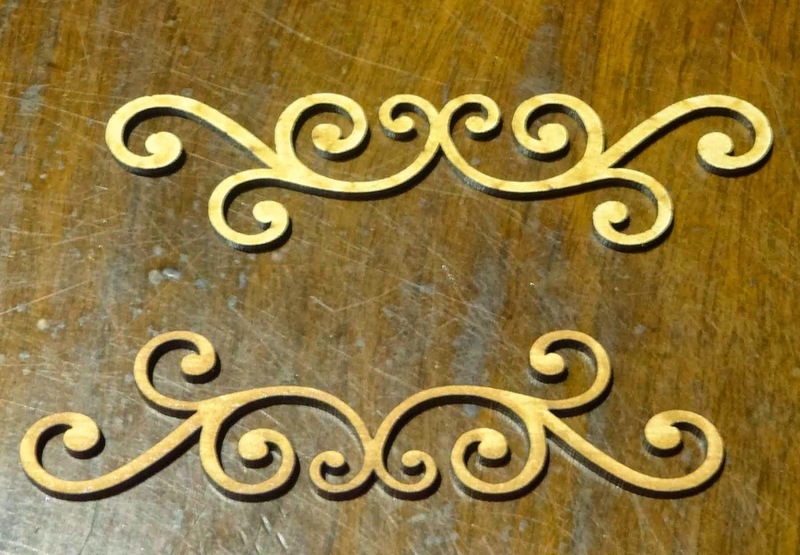 The yellow paint that I used for the swirls and daisies was a yellow pearl colored paint. The pearl means there is an iridescence to it. Yay! 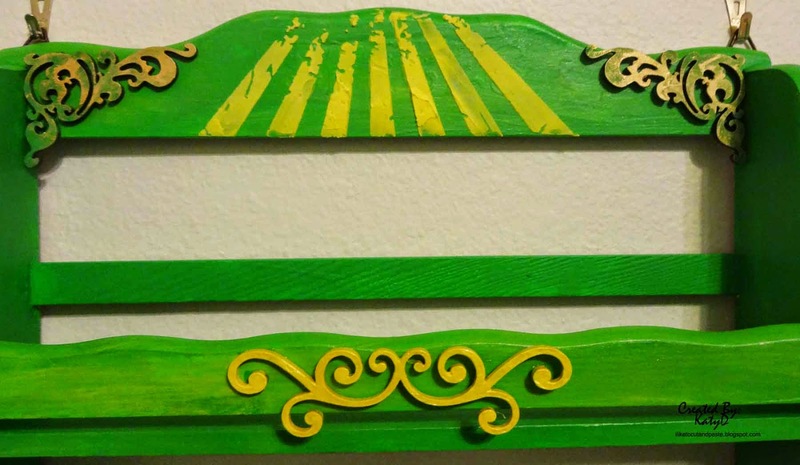 I used some of the paint mixed with water and glazed over parts of the spice rack. For the middle top I mixed some of the yellow paint with light modeling paste and used Tim Holtz's Rays stencil. This helped to make the word "spices" disappear. The following three pictures are close ups. 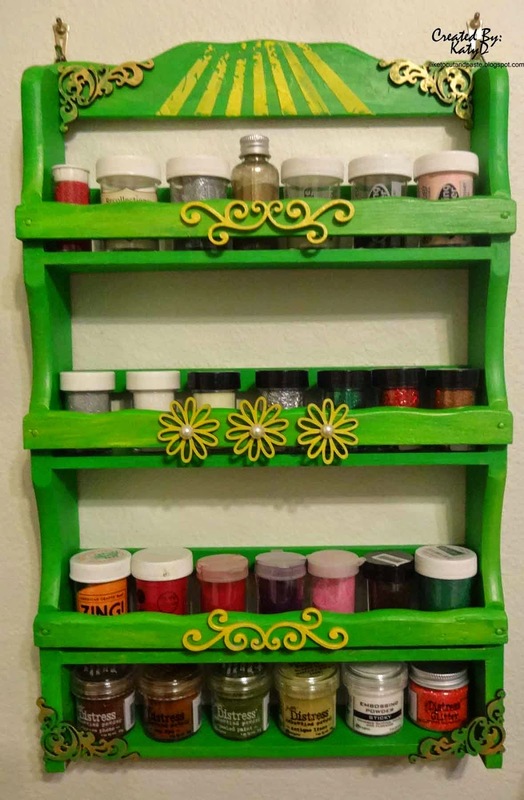 Here is the spice rack with the embossing powders in it. I couldn't resist doing a side by side photo of the before and after. 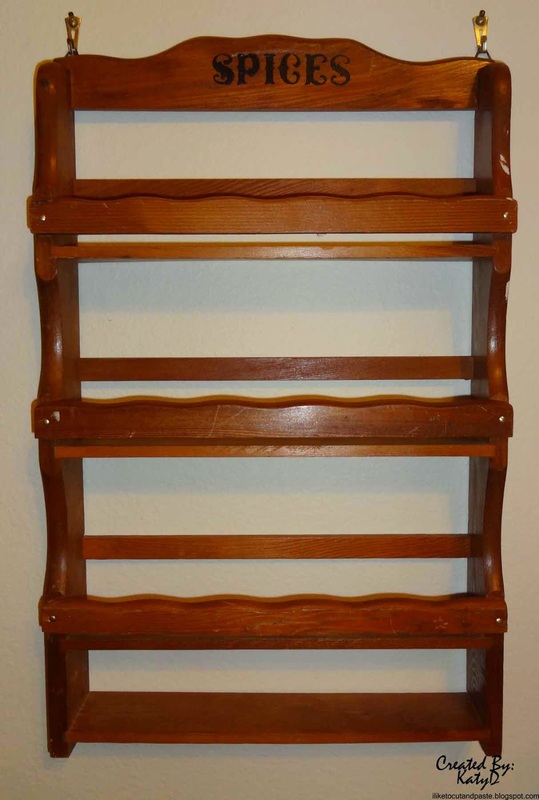 I am also submitting this spice rack to a new challenge called The Mirror Crack'd-Anything Goes. It's a mixed media challenge (I used paint, wood embellishments, Inka Gold, and Light modeling paste). wow you go girl.. that is so awesome..
Wow wow wowwwwww! What a transformation! This is amazing!!!!! 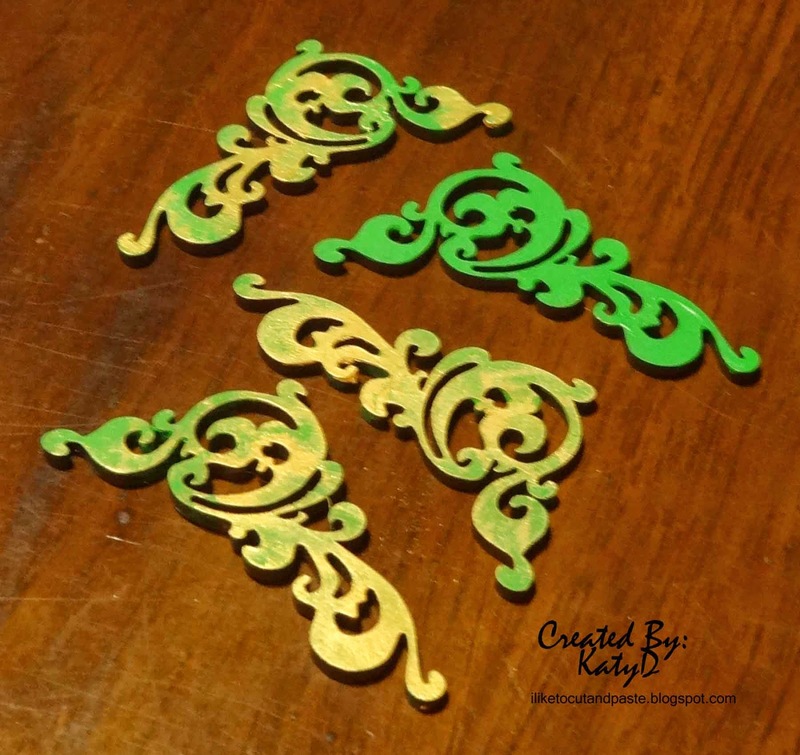 WOW what a transformation Katy...love how you used the chipboard accents!! I'm visiting from The Mirror Crack'd and really enjoyed seeing the before and after photos. Fun AND functional. Clever! A girl after my own heart! I love having something that cost next to nothing and making it into something I want/need. This is just gorgeous and looks fabulous with all your powders in it. I bet if they realised how gorgeous it could look they would have increased the price a hundred fold! Thanks for sharing in our first ever challenge. The makeover is beautiful! 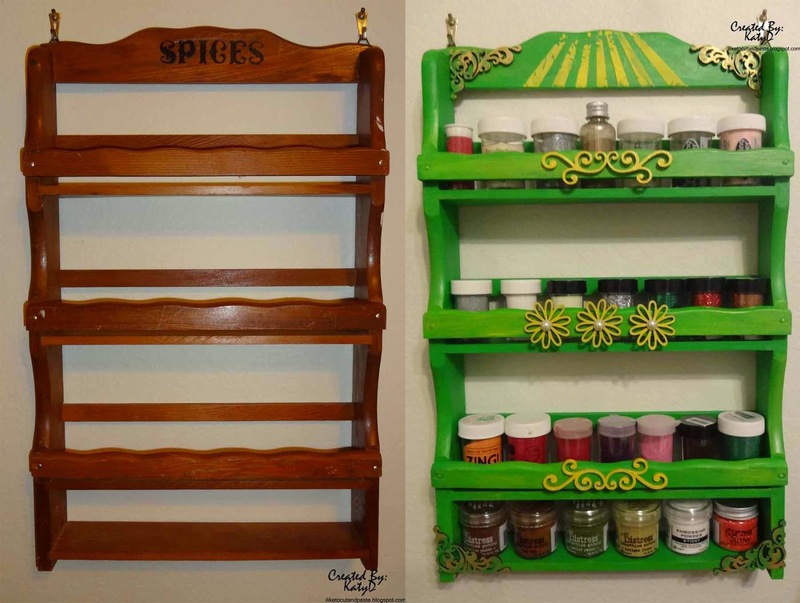 I use a spice rack to store some of my seed beads so maybe it should have a makeover, too.